Samsung Galaxy Note5 Price, Review, Deals, Cost, & Sales! 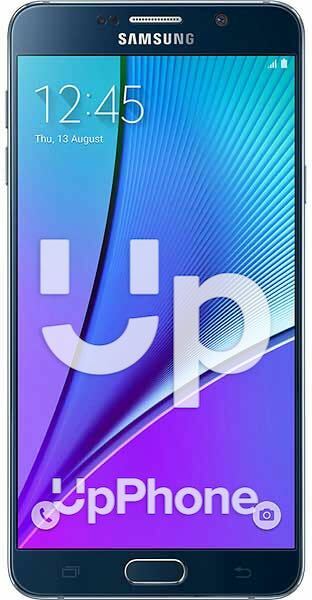 Home / Compare Cell Phones / Samsung Galaxy Note5 Price, Review, Deals, Cost, & Sales! The Samsung Galaxy Note5 is designed for people who wants more than just a smartphone. It comes with its distinctive S Pen and a large display screen. The Note 5 is equipped with a 5.7" QHD Super AMOLED display screen with 2560 x 1440 resolution and 518 PPI pixel density. It has one of the best screen available in the market. In comparison, the Galaxy Note 4 has the same screen specs. This device comes with a 16 MP f/1.9 aperture rear camera capable of recording up to 4K videos @ 30fps. It also has a 5 MP f/1.9 aperture front camera that is able to record 1440p videos at 30fps. The Note 5 has the 32/64/128 GB onboard variants with no support for expansion. While the Note 4 comes with 32 GB internal storage with support for up to 256 GB via microSD. This device comes with a single bottom-firing speaker. Audio quality is very good but not as loud as the Galaxy Note 4. This device has a front-mounted fingerprint reader which doubles as the home button. It scans fast and is often accurate. The Note 5 runs on Exynos 7420 Octa. Performance is superb and in one of the fastest phones available. It has almost no lag times even with heavy usage. While the Note 4 runs on Qualcomm APQ8084 Snapdragon 805. Powering the device is a 3000 mAh battery. It can keep conversations going for up to 28 hours, web surfing for 10 hours and video playback for 13 hours. It also supports wireless charging and quick charge. The Galaxy Note 5 comes with an S Pen right out of the box. It has no support for storage expansion. You can start using the S Pen even if the phone screen is off. The Note 5 comes with a designated slot for the S Pen. Users can use the S Pen to navigate around the phone.